Today, while Ken Howard and I were walking down the Mall in Washington, DC, I spied this triceratops sitting (standing) out on the lawn. He appeared most friendly since children were climbing on him. 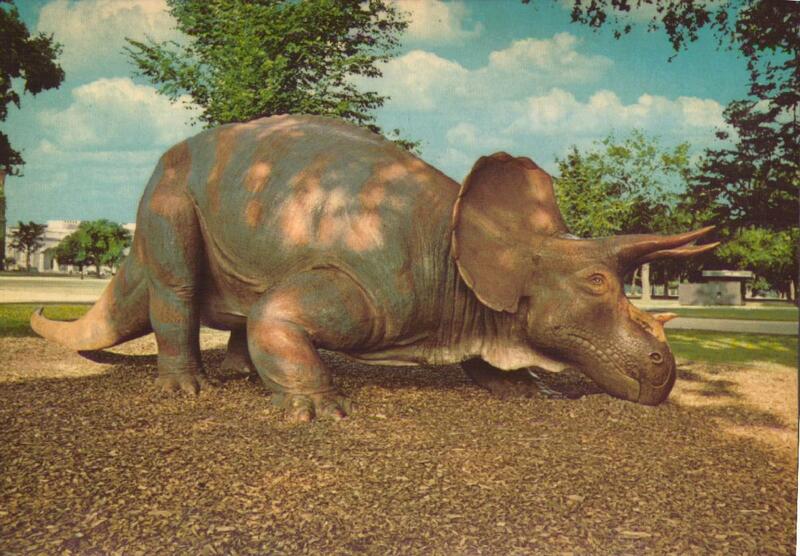 Uncle Beazley, a life-size fiberglass model of a Triceratops, was made by Louis Paul Jonas for a special television program (1967) called "The Enormous Egg;" in that same year the Sinclair Oil Company donated the model to the Smithsonian, and Mr. Beazley has been a popular attraction on the Mall ever since. Photograph by Dane A. Penland, Office of Printing and Photographic Services, Smithsonian Institution. The statue may have been made for a TV special, but "The Enormous Egg" was originally a book, and I remember it being really good. It was fun to read, kind of cynical, and featured a kid who didn't have to go to school because he had a research project. It doesn't make sense on its own terms, though--if a chicken gave birth to an evolutionary throwback it would be a theropod, not a saurichian like Triceratops. 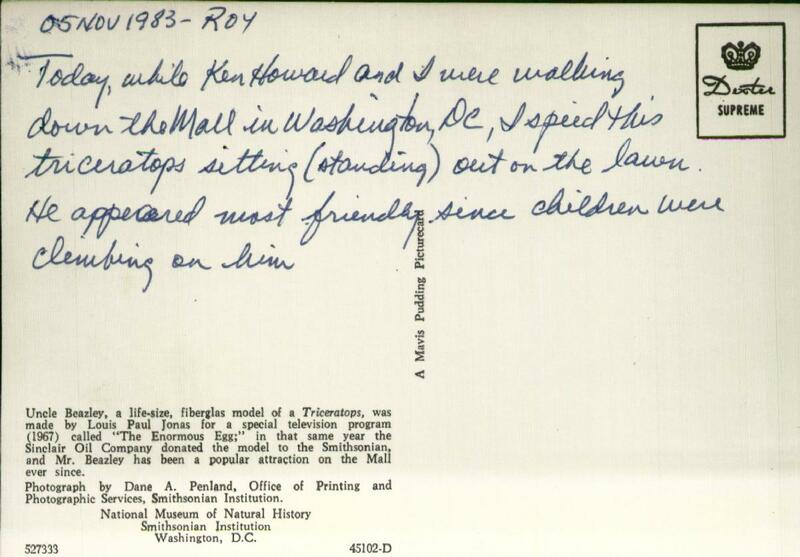 I climbed on Uncle Beazley on my first trip to DC. The statue has since been moved to the National Zoo, and you can't climb on it anymore.